The U.S. Department of Education today refused to release thousands of pages of records it received as it investigated allegations that Penn State failed to publicly report criminal activity on its campuses. Citing an “ongoing law enforcement investigation” into the university’s compliance with the Clery Act, the government said it would withhold 54,000 pages of material compiled by the federal Office of Student Aid, including information gathered by investigators working for Louis J. Freeh. The denial came in response to a lawsuit involving a Freedom of Information Act request filed last year for Clery Act records, along with information sent to the education department by Freeh investigators. The agency released 11 pages of records and continued to process the request, but would not say when it would provide a final response. After several failed attempts to force the department to issue a final response, Penn State alumnus Ryan Bagwell filed suit in the federal district court for the District of Columbia and asked a judge to order the release of the information. The education department must formally respond to the suit by May 9. The FOIA request sought information received from Freeh investigators between Nov. 1, 2011 and Dec. 31, 2012, as well as information related to the education department’s review of Penn State’s compliance with the Clery Act. 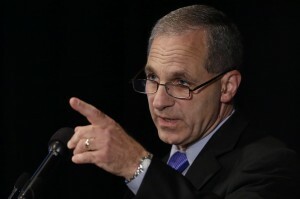 It’s unclear why Freeh investigators were providing information to the education department since Penn State claims Freeh, Sporkin & Sullivan was acting a university attorney. The education department’s review of Penn State started in 2011. In a letter to university officials, reviewers sought mounds of information from the university, including a list of all crime reported to Penn State police between 1998 and 2011. The agency issued a Program Review Report to Penn State for comment in 2013, containing the violations found during the review. But that report remains sealed until the department issues a Final Program Review Report. There is no timeline for the issuance of the final report. Because the education department has already issued its findings to Penn State, it’s unclear how releasing investigation records would harm the department’s review. Thanks Ryan for your tenacious and courageous efforts to expose the truth.